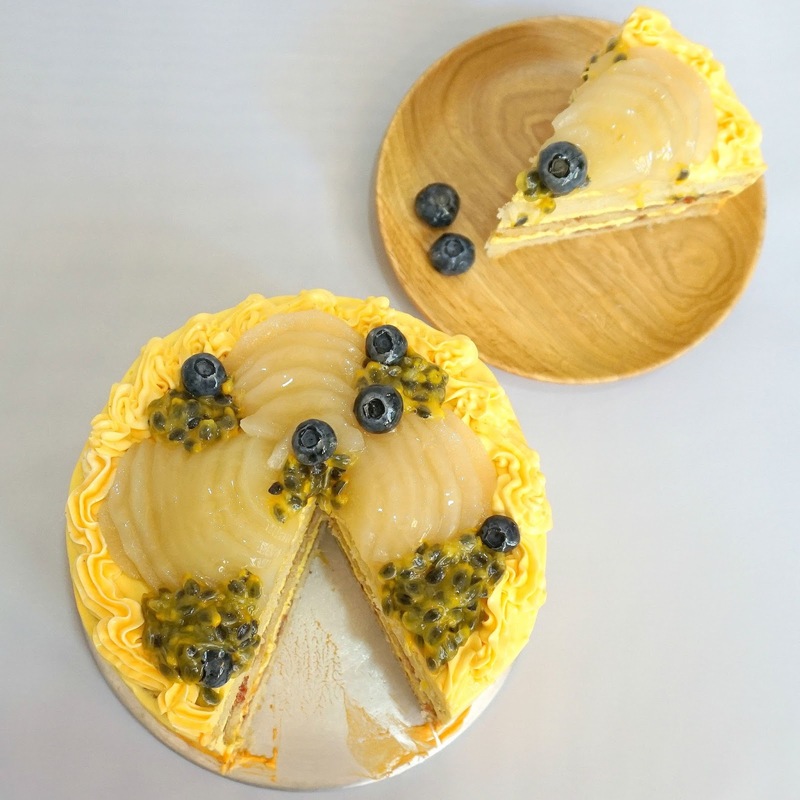 Passionfruit- I have an overflowing passion for this fruit. It’s round and smooth on the outside when not fully ripe but as it ripens, it gets wrinkled up like the wrinkles on your face as you age. Yup the longer you sit it out, the more wrinkles u get. That is life. It’s not a common fruit that people over here consume on a daily basis. Often, people go for grapes, apples, mangoes etc. I seldom see the majority of the population consuming this fruit. It can be quite hard to find in supermarkets so when I see them, I usually buy a whole lot of them. Passionfruit to me is one of my favorite fruits because of its tanginess and fragrance. I like how it’s sour and delectable at the same time. I’m not sure how people can relate sour fruit = enjoyable fruit. . It can be ( for abnormal people like me who enjoys sour fruits) or it can be enjoyable ( to normal people) when paired correctly. 4) Ice cream and gelatos. This list is non exhaustive of course. 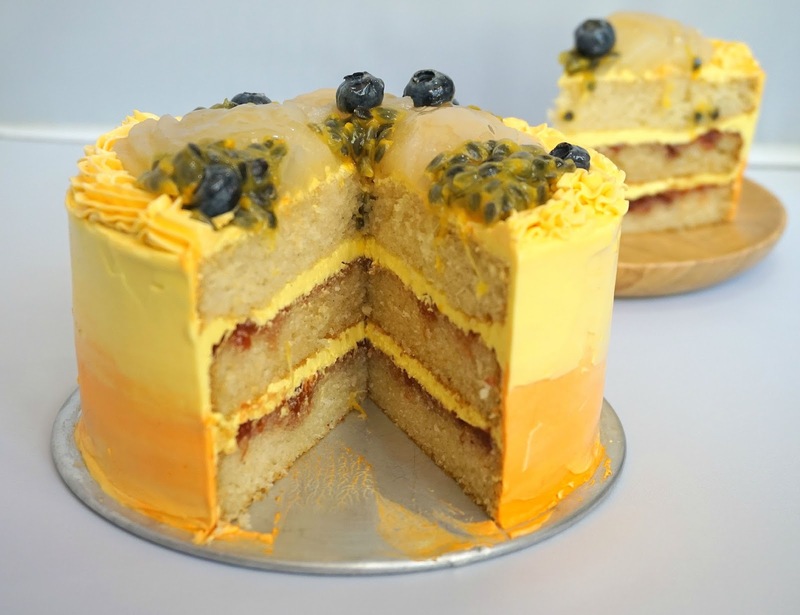 Use your imagination, do a little taste test and soon, you’ll be able to find your love for passionfruit as much as I do. 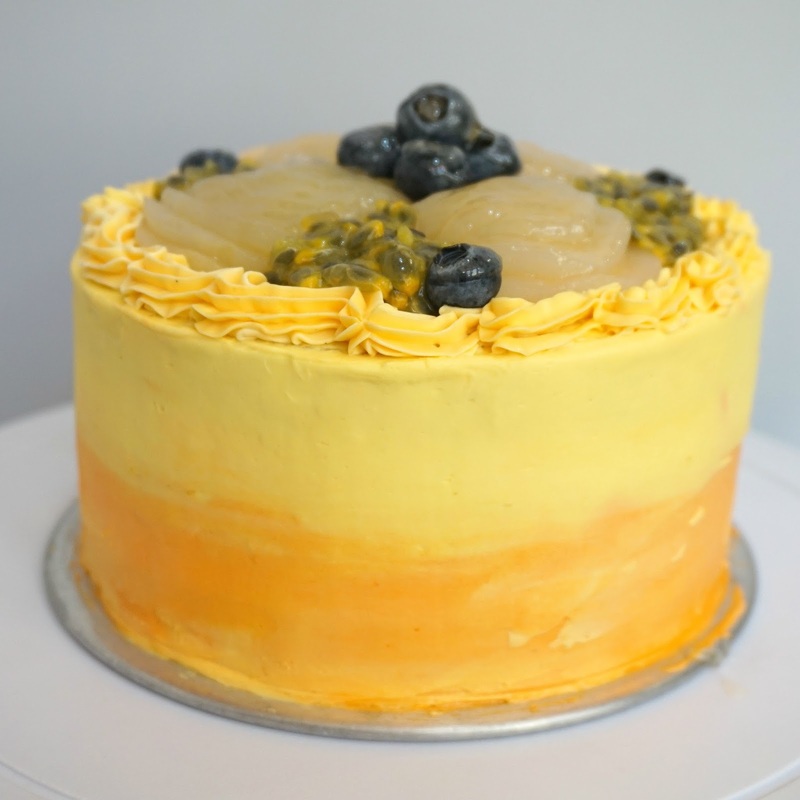 This time, I decided to use passionfruit mousseline in between my cake layers. I love mousseline because it’s not overly sweet and has a pleasant taste compared to an all American buttercream.Although it has an additional step to preparing it ( Custard based), it’s well worth the effort. 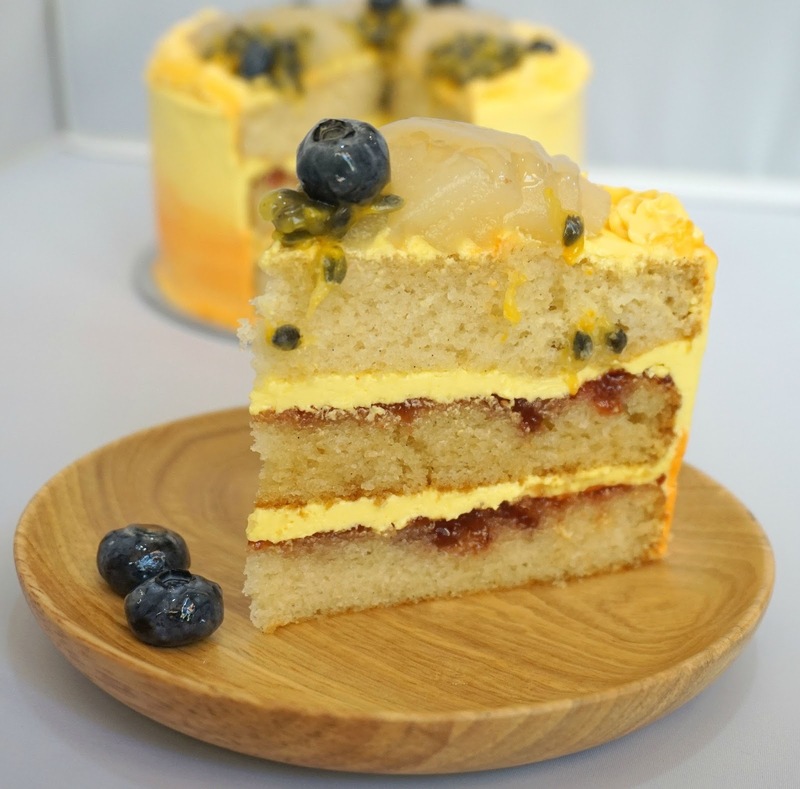 As passionfruit is sour , you do not want to overly reduce the amount of sugar in your mousseline. I tried it for my other mousseline because I added syrup ( Eg Gula Melaka syrup ) which is sweet by itself. But if you’re working with sour fruits, try not to reduce if not you might end up with a sour buttercream. Experiment with various quantities and soon you’ll find a balance. 1) In a medium pot, bring the passionfruit juice to a simmer. 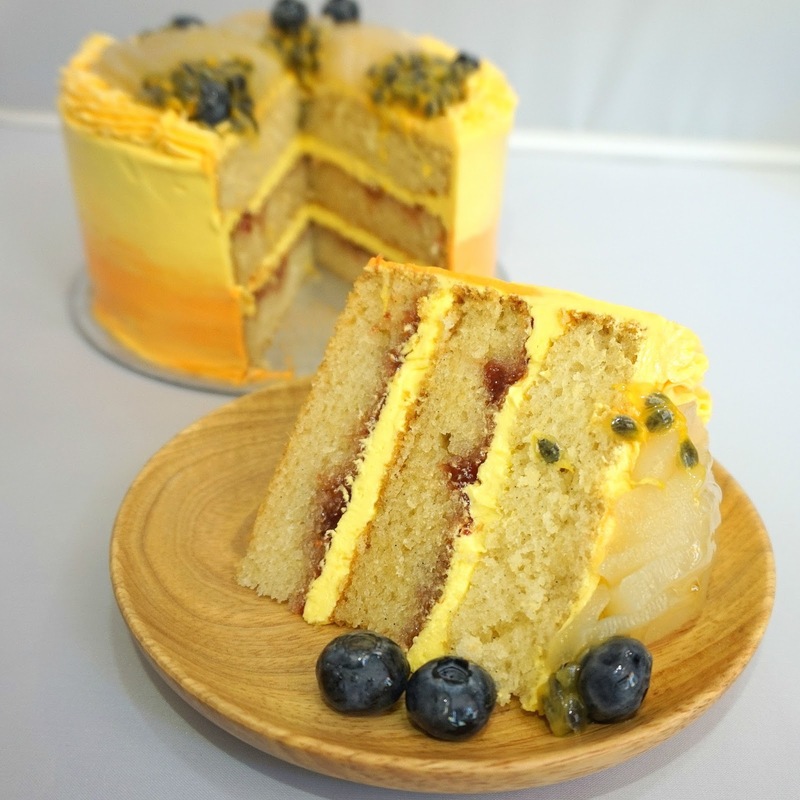 3) Slow drizzle passionfruit juice into the egg mixture. Continue whisking in juice until the egg mixture is fluid and warm. Now, return the tempered egg/juice mixture back into the pot. Turn the heat to medium and whisk until the mixture begins to thicken and bubble sluggishly. From that point, continue whisking and cooking for a full minute more; use a timer or you run the risk of not fully cooking out the cornstarch. When the minute is up, pour the custard into a large mixing bowl. 5) Whip butter until smooth and creamy then begin adding in the passionfruit custard, one tablespoon at a time. Whip until the mixture is creamy and homogenous. 6) Use immediately or refrigerate until needed. When ready to use, whip until creamy before proceeding.